A blog for whisky lovers by a whisky loving girl! Without knowing what it was I took a sip and had to automatically sit back and enjoy. I let my boyfriend take a small sip before I took the glass away from him. I didn’t know what it was but I knew whatever it was, was smooth and delicious. This bourbon turned out to be Eagle Rare 17 year Kentucky Straight Bourbon Whiskey. Eagle Rare 17 year is aged in oak barrels and is released once a year in small batches. It is a brand by the Buffalo Trace Distillery who also happens to produce my current favorite bourbon Blanton’s Single Barrel (http://wp.me/p3Zt2k-Y). This 17 year bourbon is one of five, Buffalo Trace bourbons listed in their award winning antique collection. Others in that collection include, George t. Stagg, Sazerac Rye 18 year, William Larue Weller and Thomas H. Handy Sazerac. Unfortunately I have not tried any others in the collection and therefore can’t compare them to those, but I can truly say that I did enjoy this bourbon. It was a delicious and a unique tasting experience. If you are looking to acquire a bottle it goes for about $70. I would recommend trying this bourbon and I would certainly consider adding to my collection. Not only that, but now I have a list of four other bourbons to try and will later see how they stack up to this Eagle Rare 17. If you’ve had this bourbon before I’d love to hear your take on this 17 year-old and how it stack up to the other four. Note: The contents on my blog are solely my opinion. To me every palate is different! Although I may or may not like a product, I always recommend for people to try it and make up their own minds. Ah, so you’re the one that killed Frank’s bottle of Eagle Rare 17 before I got to give it a try! 😉 I actually got my hands on a bottle this past fall but I ended up trading it for something else. Slightly regret that decision. Ha ha… Yes I might have been the one to kill that bottle. Must have been the only one he had. Glad I got there first 🙂 Amazing how everything he has goes quickly. As for trading the bottle you had, hmm… I can understand regretting that decision, unless, what you got in return was better. 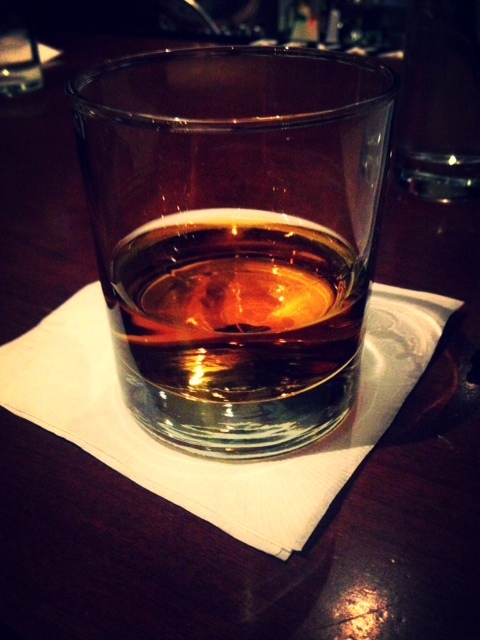 As much as I still think bourbon tastes like… well… bourbon, this one is certainly a smoother, more elegant bourbon. There are so many American whiskies on you site I haven’t heard of! Although, I wonder, do you know about many of the Tasmanian ones? No I haven’t yet. I wonder if I can find them here in the US. Will have to look for them. What would be a good one to look for? Undoubtedly Lark. Though Nant is building up in a big way and Sullivans Cove just won some big awards in San Francisco. My home-town distillery is great, too, though I think mainly for my own sentimental values. It’s one we’ve talked a bit about on our blog. I am going to look for these! Hopefully I find one of them. It will be great to try them. I will let you know if I find it and thank you for the suggestions.